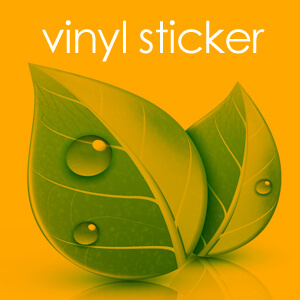 For all of our standard vinyl colors we use a basic calendared vinyl with an outdoor rated lifespan of up to 5 years. You can buy with confidence our product will last. Vehicles, windows, boats, glass, marble, plastic, basically any hard surface should be just fine.. Most any smooth surface our standard vinyl will stick just fine. Avoid concrete and be sure to choose our wall mural fabric when designing for walls.